In April 2013, the Grand Priory of Hungary conducted its solemn investiture under the auspices of the Supreme Grand Prior of the Order, H.E. Richard Comyns of Ludston GCLJ GCMLJ. The Grand Chancellor and the Grand Secretary were the other Grand Officers assisting in the investiture which saw the Chevalier Lajos Vigh KLJ appointed as the new Grand Prior of the Grand Priory of Hungary. The Supreme Grand Prior bestowed the honorific rank of Grand Prior Emeritus on the Chevalier Bela Danielisz and thanked him for his past work within the Order. A number of postulants were also admitted into the Grand Priory of Hungary. 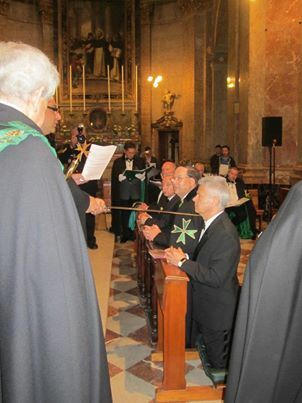 Various other visiting deputations from the Order's jurisdictions were present for this investiture and a workshop related to the Hospitaller goals in Hungary for the coming months was organised after the investiture. 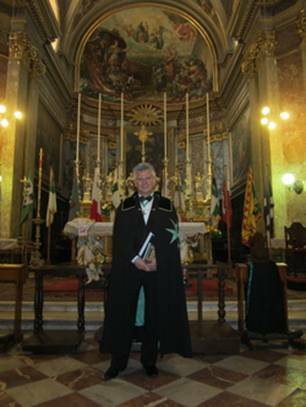 Dr. Vigh Lajos foorvos is the new Grand Prior of Hungary, a medical doctor by profession.